If scuba diving with whale sharks or kayaking past glaciers sounds like you’re kind of thing, Shedd Aquarium has a trip for you this year. The aquarium this week announced its 2018 Shedd Adventures travel program, which offers trips to some of the world’s most exotic locations customized for nature-minded travelers who are curious about wildlife. Travelers in 2018 can swim alongside sea lions and snorkel with white whale sharks in Baja, paddle around glaciers while looking out for wildlife in the Antarctic Peninsula and dive with some of the world’s largest sharks in the Galapagos Islands. Shedd’s coming trips also include an iguana research expedition in the Bahamas, encounters with great whales in Quebec and exploring everything from sea turtles to humpback whales in Pacific Nicaragua. Shedd says its trips give visitors the chance to develop a deeper connection to animals and regions that intrigued them during visits to the aquarium. 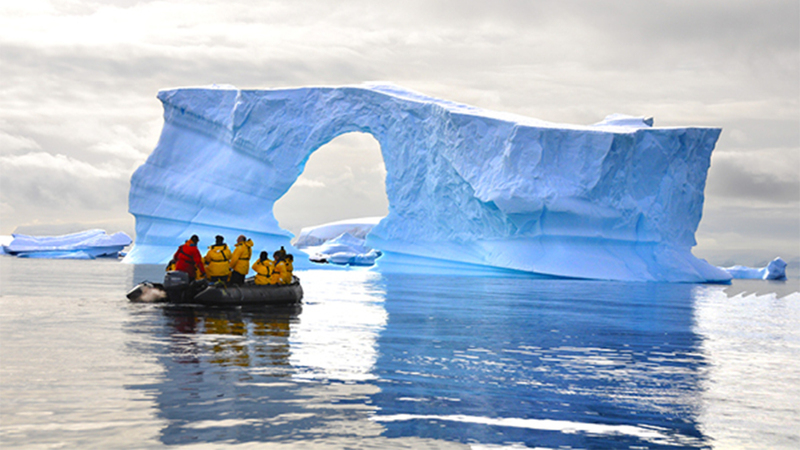 Each expedition is led by a Shedd expert who is acquainted with the destination and wildlife seen on the trip. The trips range in cost from $2,500 to $12,495 per person. For more information, visit Shedd’s website. Dec. 18: Meet Drake, Magdalena, Pebbles and Wellington. They are the first penguins to turn 30 at Shedd Aquarium, and among the oldest penguins in human care across the U.S.
Shedd’s Rescued Animals: How Are They Doing? Dec. 12: Over the past year, staff from Shedd Aquarium’s Animal Response Team have come to the aid of animals across the globe. Here’s an update on how some of them are doing. Dec. 8: A new team led by biologist Andrew Casper will expand Shedd Aquarium’s research of animals that live in local waterways—and how to protect them.